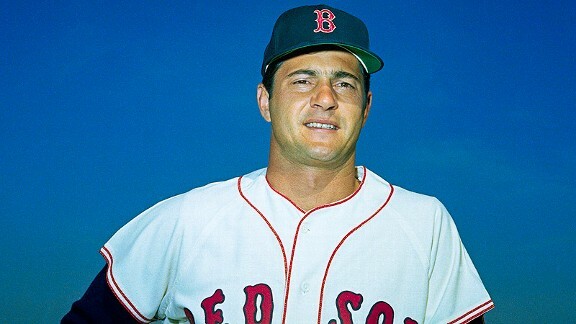 A handful of very impressive stats before we get to 1967: Yaz is eighth all time in RBIs (1,844), hits (3,419) and doubles (646). He was the first AL player with at least 3,000 hits and 400 home runs (452). Now, about that magical 1967 season. Won the Triple Crown (.326 BA, 44 HR, 121 RBIs) and also led AL in hits, runs, OBP, slugging percentage, OPS and total bases. Wow.